what I like to do best. I mean, if you are going to choose a freshly-baked bread product or some sort of veggie side dish? Sorry, the bread wins every time with me. So it's a bit more of a struggle for me to find good recipes in other categories. But when I find a recipe I like that doesn't involve flour, butter and the oven -- that's a major win for me. 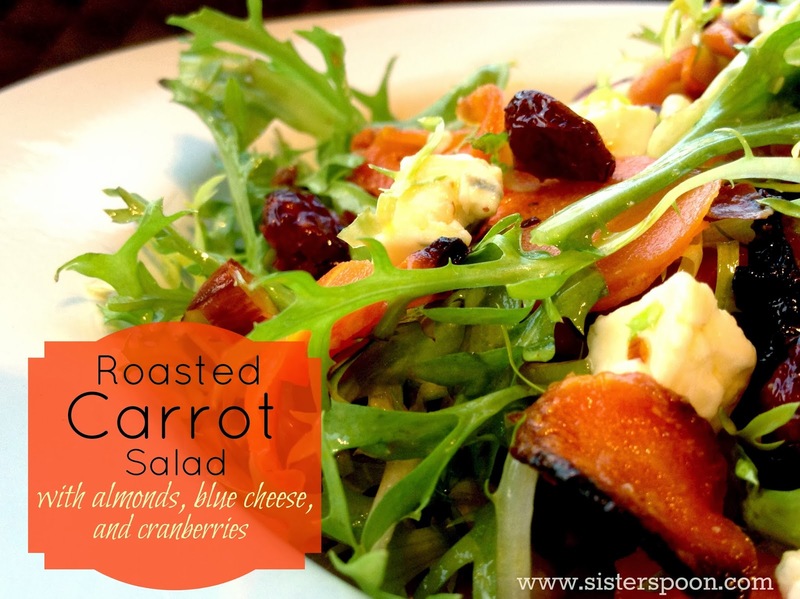 This Roasted Carrot Salad Recipe is one I found at allrecipes.com and I love it. It has lovely colors, it's unique, and although none of the ingredients are anything outrageous or hard to find, the blend of flavors is just awesome. 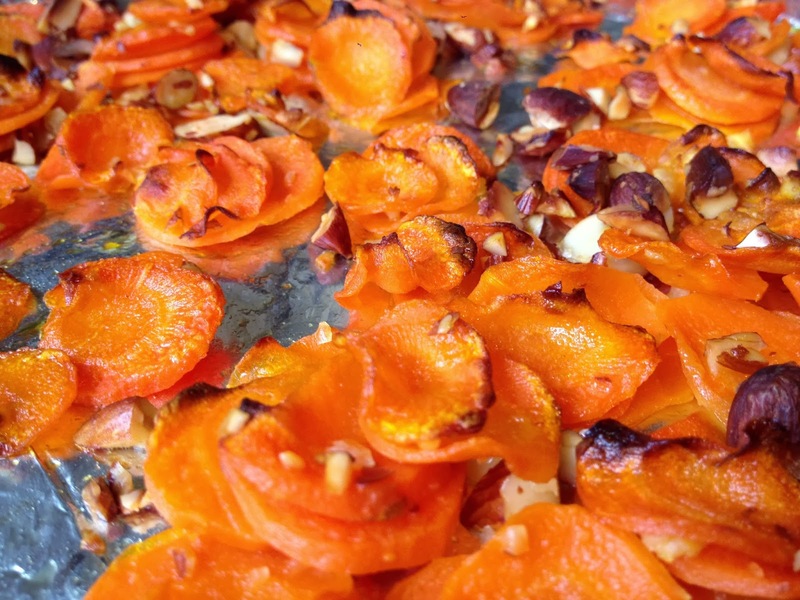 The carrots are roasted together with almonds and garlic and then tossed with other yummy ingredients that all complement each other wonderfully. Every time I make this, both my husband and I end up commenting several times "I really like this salad". 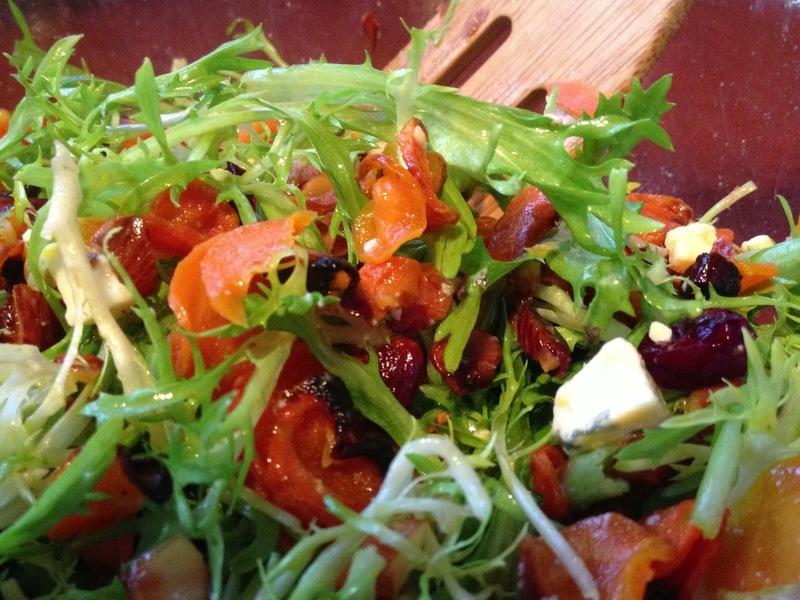 I like doing this salad for company or even for a nice weeknight dinner. This would be a perfect light dish to serve at a holiday meal too. Beautiful and delicious. So, even though this one is not a bread or dessert, it's definitely earned a spot in my recipe box. Now we mince 2 cloves of garlic. 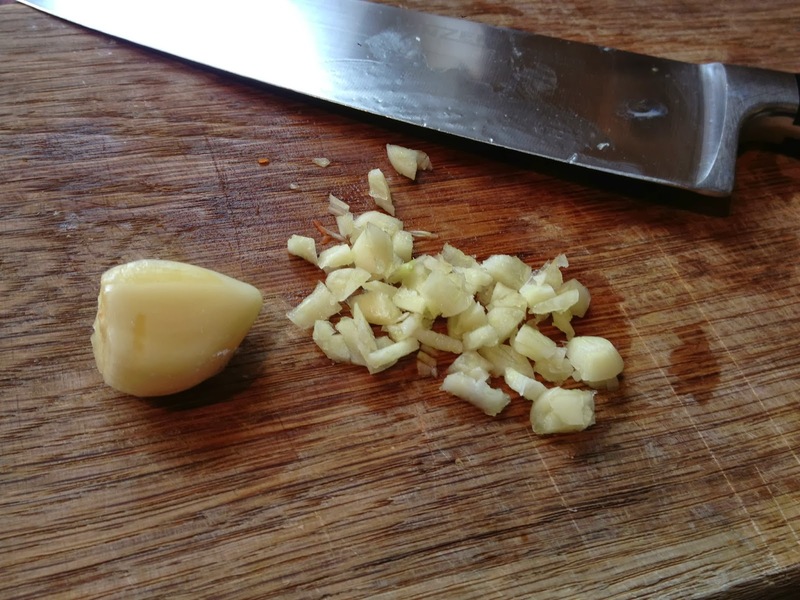 Now you toss this all together with some oil. Olive, peanut, sunflower, whatevuh. Line a couple of cookie sheets with foil (because I hate washing pans) and spread your carrots out across the pans. Separate them as much as possible, trying to get them in a single layer. The carrots won't honestly all fit in a single layer, but try to spread them out as much as you can. Stick the pans in the oven for about 20 minutes or so. 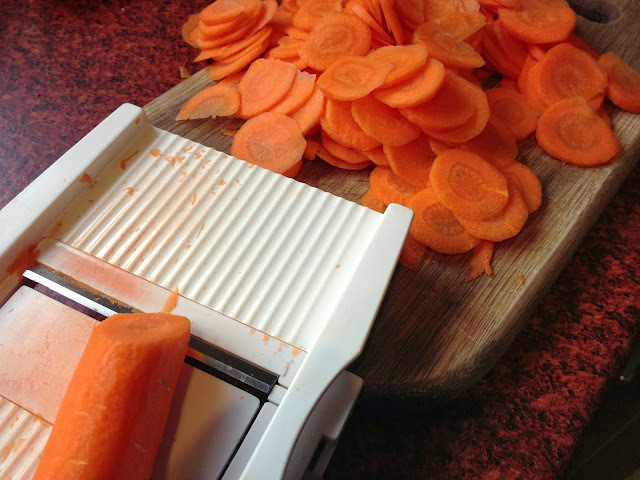 You want the carrots to lose their crunch and some of the edges will be browned. Like this. Let these pans cool while you get the other stuff ready. Alrighty then. 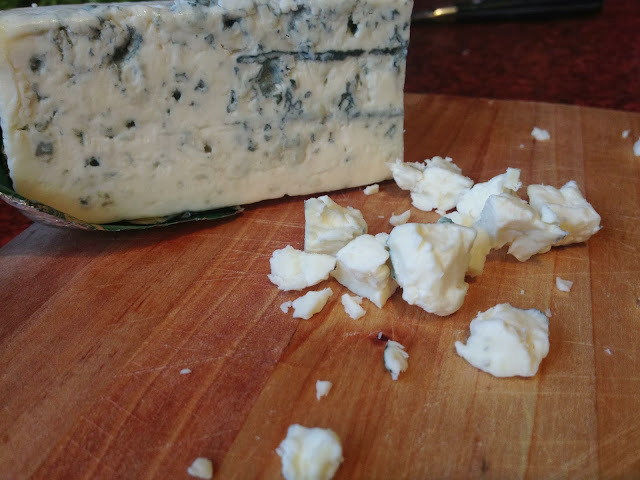 Now we crumble up some blue cheese. 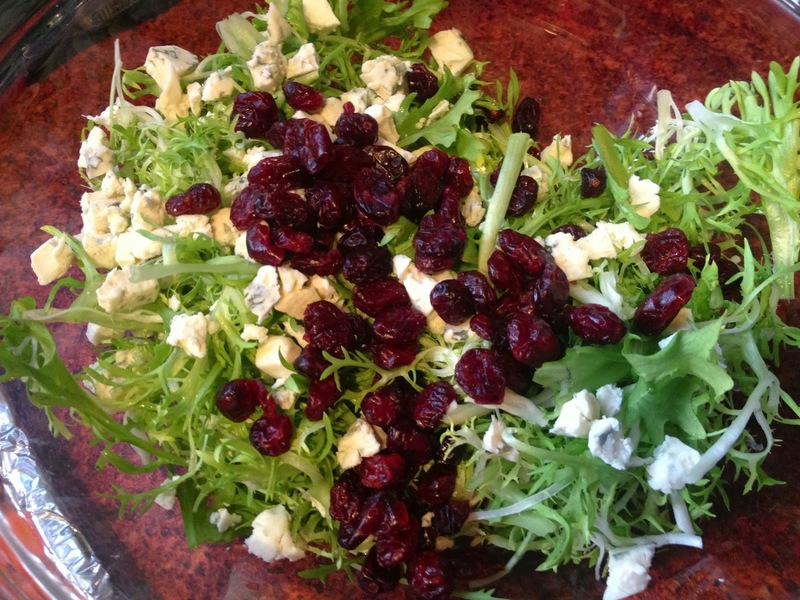 And then toss the blue cheese, some dried cranberries, and some pretty curly-type greens into the mixing bowl. I did adjust the original recipe at this point as it called for only 2 cups of greens. In comparison to the amount of carrots, this ends up basically being garnish instead of salad. So I doubled the amount of greens for a more salad-y type result. Much better. 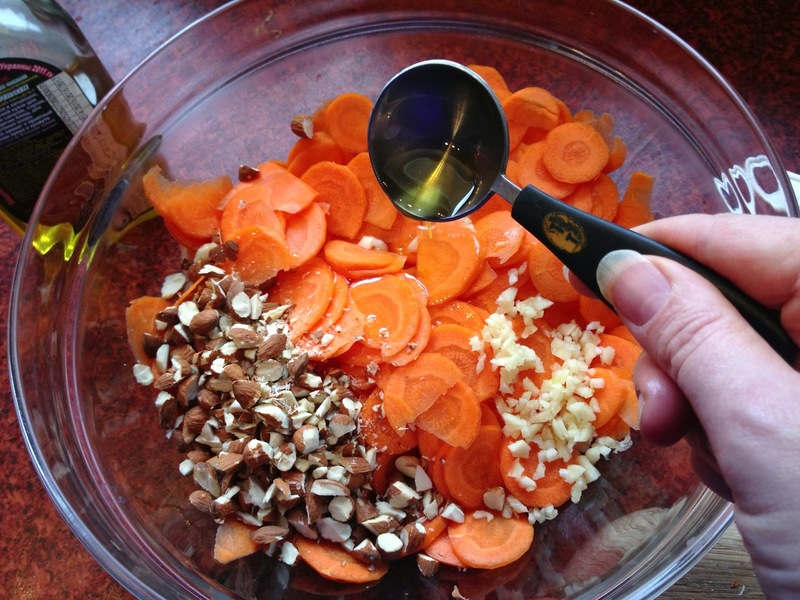 Now stir in your cooled carrot mixture. Isn't that pretty? Pay real close attention. This dressing is really complicated. 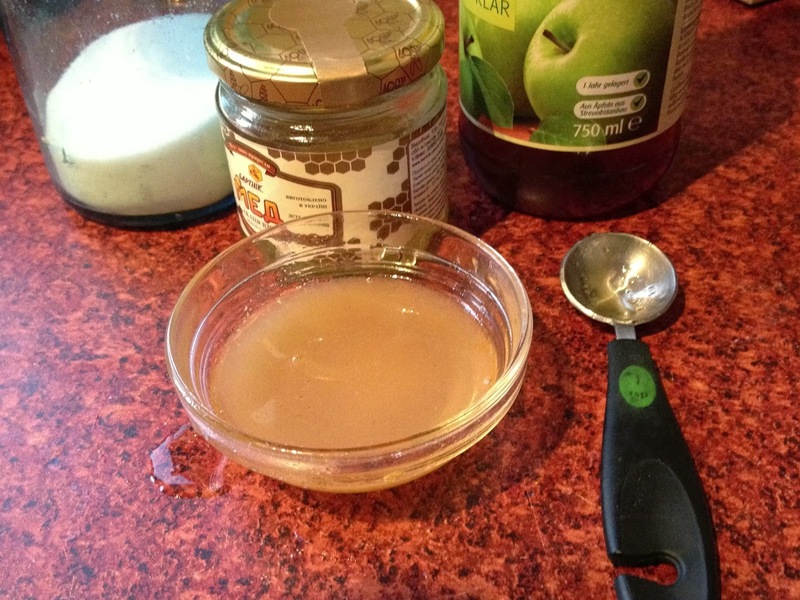 Mix some melted honey, cider vinegar and a pinch of salt. 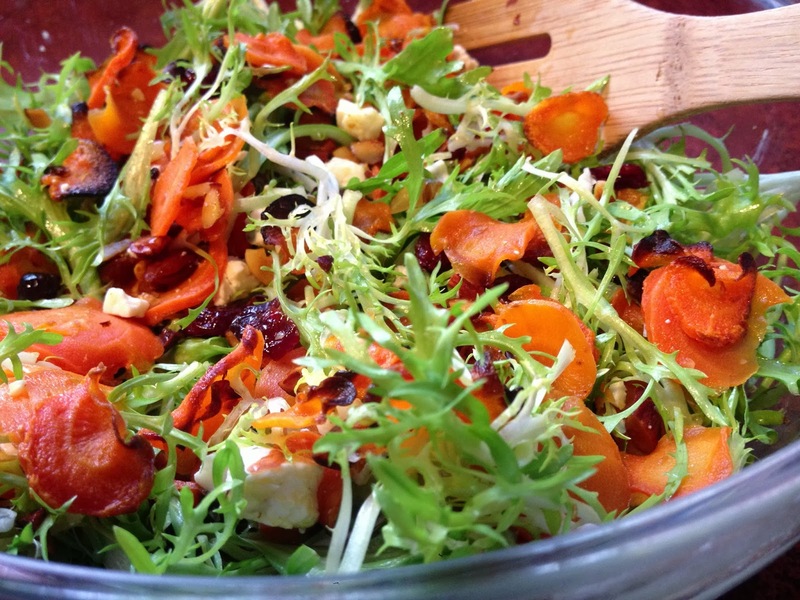 Toss the dressing into the salad just before you're ready to serve. And.... voila! Gorgeous. Unique. Uber-yummy. And I didn't even open the flour canister. Score. Preheat oven 400F (or 200C). Combine carrots, almonds, garlic and oil in a mixing bowl. Toss to coat. Line two baking sheets with foil and spread the carrot mixture evenly in the pans, in a single layer as much as possible. 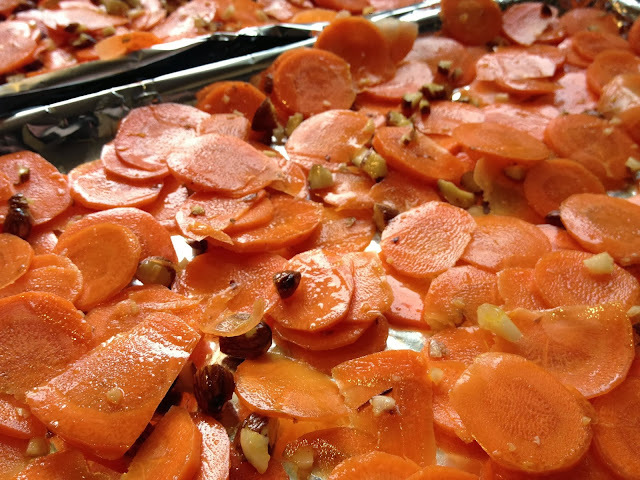 Broil in the oven for about 20 minutes or until the carrots are soft and edges are beginning to brown. Remove from oven and set aside to cool. For the dressing, melt the honey in a small bowl and mix with vinegar and salt. Toss lettuce greens, cranberries and crumbled blue cheese in mixing bowl with cooled carrot mixture. 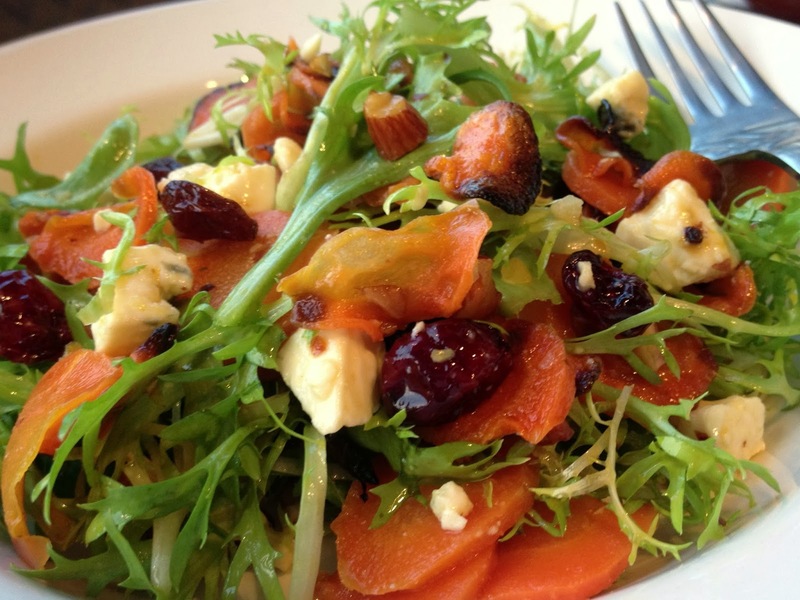 When you are ready to serve, toss the dressing with the salad. Enjoy! This salad is delicious! And beautiful. I plan to fix it for Thanksgiving. I love it too! The colors are so pretty and it's super yummy. A great Thanksgiving side. Glad you like it!